The Acura MDX was redesigned from the previous year and is a seven-seal SUV. Offers new push-button third-row access and is also far lighter giving it more fuel efficiency than the previous year. This awesome vehicle comes in either front or all-wheel drive. All of these features combine to give you better ride quality, improved front seat comfort and the quietness that people crave after a hectic day at work. With sliding a reclining front row seats you will be comfortable no matter the road you choose to drive. A responsive automatic transmission gives the driver the quick power that everyone is looking for. The Acura MDX comes in 6 styles including, 3.5L 4 door and front wheel drive, 3.5L 4 door and SH-AWD, 3.5L technology package 4 door front-wheel drive, 3.5L technology package 4 door SH-AWD, 3.5L advance package w/entertainment package 4 door front-wheel drive, and 3.5L advance package w/entertainment package 4 door SH-AWD. 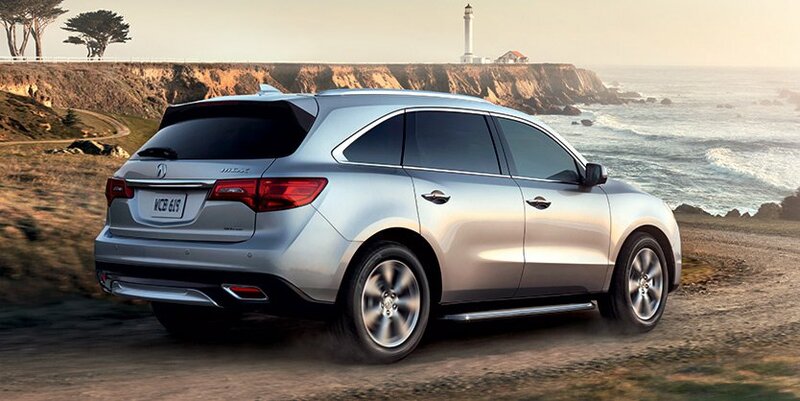 The MDX like most Acura’s comes in one base trim. The various specs and features offered serve as the different trim levels. Over the past five years the Acura MDX has battled the Buick Enclave for top sales among three-row luxury crossovers. The Acura MDX offers seven airbags with antilock brakes and a state of the art electronics stability system. Isn’t it great when you can get something that looks just as good as the luxury or top class model but costs as much as a mid-range class. That’s what you get when you buy a used Acura and especially with the Acura MDX. Already being priced competitively based upon the features that Acura and the market offer, buying a used Acura MDX is a safe bet. Acura boasts great performance especially on older models which helps them hold their value over time. With a lower overall cost of ownership because of the combination of great performance and reliability. You will be saving money by buying a used Acura because of the amount of money you won’t have to spend on it throughout its lifetime. Whenever you purchase a used vehicle you should always go ahead and get the extended warranty. This will give you piece of mind for the time allotted because if anything is to happen within the lifetime of your warranty then the dealer would be liable for the repair. This could save you from dropping an extra five thousand dollars on a vehicle that you already owe eight thousand on. No matter where you buy your used vehicle from make sure that you take it to get checked by a third party professional technician. This isn’t to show distrust in the dealer that you are purchasing from it is only to ensure that you have all of your bases covered. Nobody is perfect and everybody makes mistakes from time to time.